When times are tough we all appreciate having someone to lean on. That’s the goal behind the City of Iowa City’s Utilities Assistance Fund. 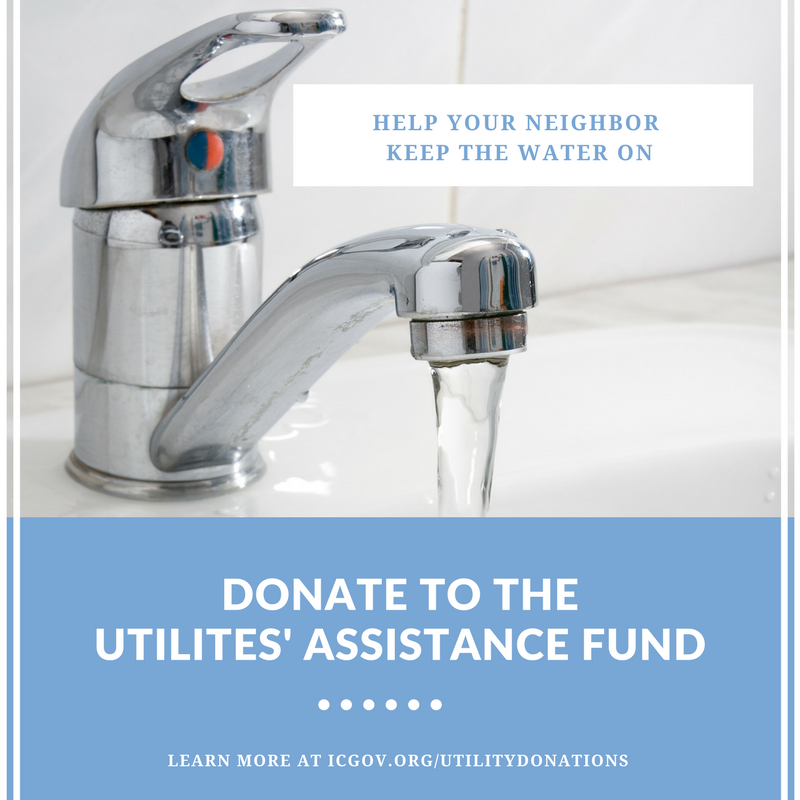 Your donation will be used to help your neighbors keep their water on. Donations can be made with a one-time payment or on a recurring monthly basis, and may be tax deductible. Consult your tax advisor. To donate, fill out the donation form, print and mail, or drop it off in-person, with payment to City Hall, 410 E. Washington St. Donation forms will also be included in March utility bills. This fund will help sustain the City’s Utility Discount Program, which provides income eligible Iowa City utility customers a discount of 60 percent of the minimum water and sewer charge, 60 percent of the monthly storm water charge and 75 percent of the refuse and recycling charges each month. This can amount to a savings between $10 and $22 per month. To learn more about the Utility Discount Program, visit www.icgov.org/utilitydiscountprogram. For questions about donating, contact Melissa Miller at 319-356-5065 or melissa-miller@iowa-city.org.